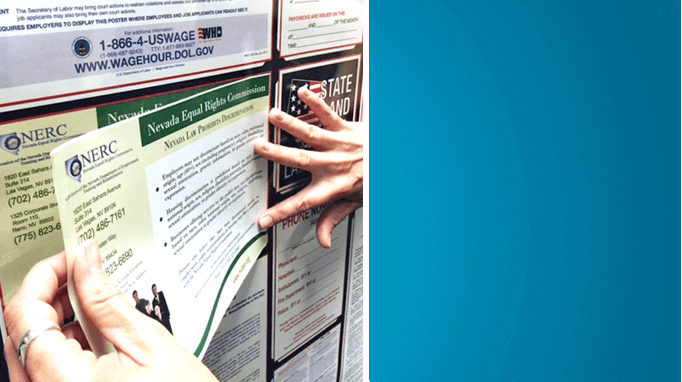 Compliance Poster Company helps you inform your employees of their rights and protects your workplace in one simple step using All-On-One Labor Law compliance workplace Posters for every state. 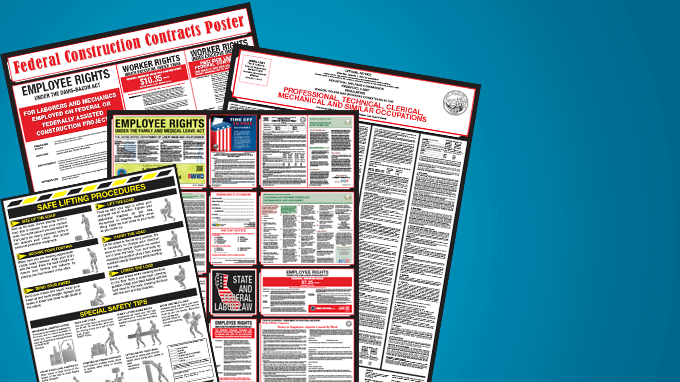 The All-On-One Labor Law Poster covers all State, Federal, and OSHA-required labor law postings. If your business is located in a city or county or industry with special posting requirements, we’ve got those too! Do you have remote workers who work offsite, at temporary facilities, travel between locations, or work from home? Use our Mobile Poster Paks to ensure your remote employees are informed of the laws that apply to their work. Have questions about which postings are required for your business? Give us a call! We can answer your questions. Stay in Compliance. 4/18/19Is A National Paid Parental Leave Program On The Horizon? Compliance Poster Company was founded in 1989 to simplify labor law and safety posting compliance. 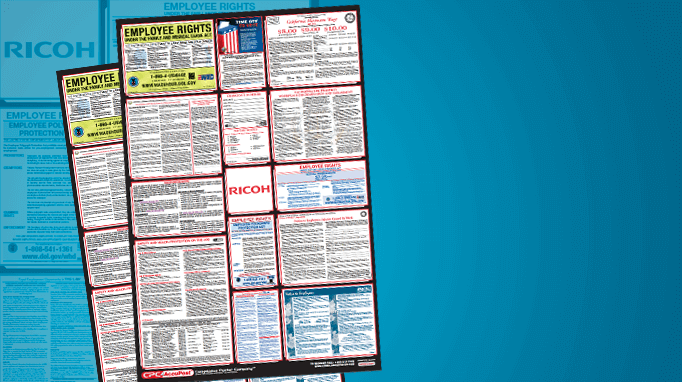 Today, we lead the market with superior labor law posters including our flagship All-On-One Posters, which streamline your company’s compliance efforts by combining Federal, State and OSHA postings on an attractive and durable laminated poster. 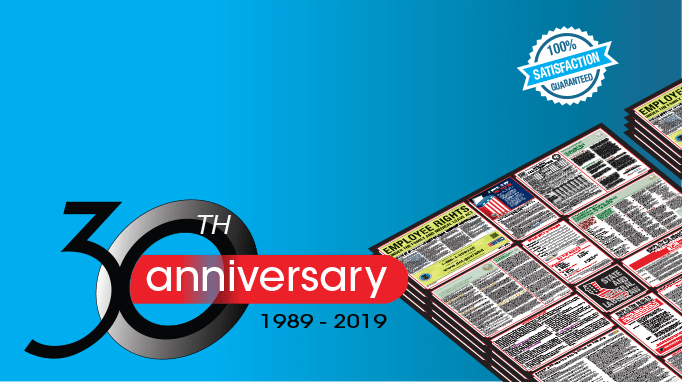 Our signature line of products also includes Mobile Poster Paks to support remote and offsite workers, Peel ‘N Post update stickers, industry and trade-specific posters, Federal contractor posters, and much more. CPC also leads the way with advanced technologies. Our graphic design and reproduction departments leverage the latest on-demand digital printing equipment to maintain the integrity of our inventory and produce custom workplace posters tailored to your company’s unique needs. 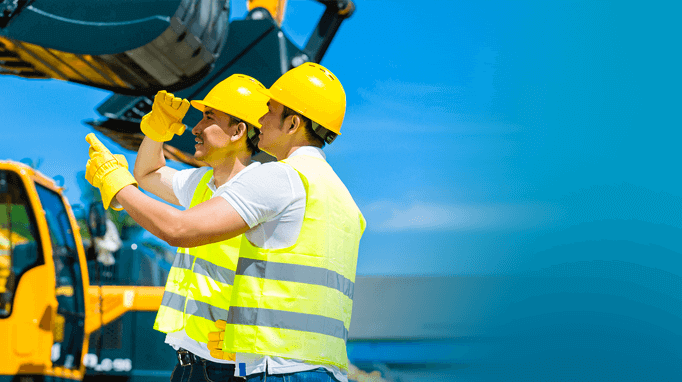 Our database driven approach and state of the art fulfillment systems ensure that you receive advance notice of updates as well as accurate and timely order delivery. 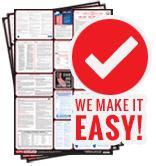 Thousands of satisfied customers from small businesses to Fortune 500 brands rely on Compliance Poster Company for labor law compliance products and services. Whether you have a single office or many locations in the United States and Canada, you can count on our friendly, well-trained and knowledgeable advisors to guide you through your compliance requirements, identify areas of non-compliance and recommend update strategies. Contact us or give our Compliance Team a call today at 1-800-817-7678.